Join us for the Women on a Mission Kick-Off Brunch! 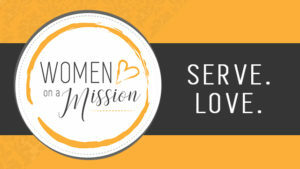 This is an informative brunch for ladies interested in serving during the Women on a Mission week! Learn the more about the opportunities ahead to serve and do some outreach all over town. Let’s serve one another and bring the Gospel to the Alexandria area through our actions. We are women on a mission!